As with all art forms, our best loved TV shows will evolve into books, comics and the ultimate entertainment form – the video game. There have been many TV to video game success stories over the past few years, from the 90’s love of Power Rangers through to CSI the game, there are many to choose from. Here are some of the best out there, to start your TV show gaming experience and why they are as loved as their TV counterparts. Whether you love Deal or No deal, or you hate it; you have to admit to not being able to look away from the screen when it gets down to that last box. Full of adrenaline, there are so many moments when you question why the person has ‘dealt’ so early and gambled a fortune. Now you can have the chance to make those all important decisions and ‘Beat the Banker’ by playing the Deal or No Deal game. The rules are the same as the TV show, you pick your box and hope with all your might that it is the jackpot box. You then eliminate the other boxes, until you either accept a deal or you play to the end and reveal what was inside your box. Simple, fun and a great game for passing the time during your lunch break or morning commute. This is one of the easiest to play and move by move, carbon copy of TV inspired games. If you are a fan of ‘The Doctor’ then this is the game for you, especially after the recent Dr Who craze that spread the globe. You will be in control of the Tardis, have the ability to fight off the Darleks and generally stop the world from self-destructing. There has been a huge gap between the Dr Who games that were originally released in the 1980’s, until the show became popular again in the 2000’s. Worlds in Time is an epic multiplayer RPG that will take you through Missions, adventures and mini games, you can control which you would like to embark upon first. The plot will take you through the adventures, so to find out the full story, you may be better starting with the adventure games. 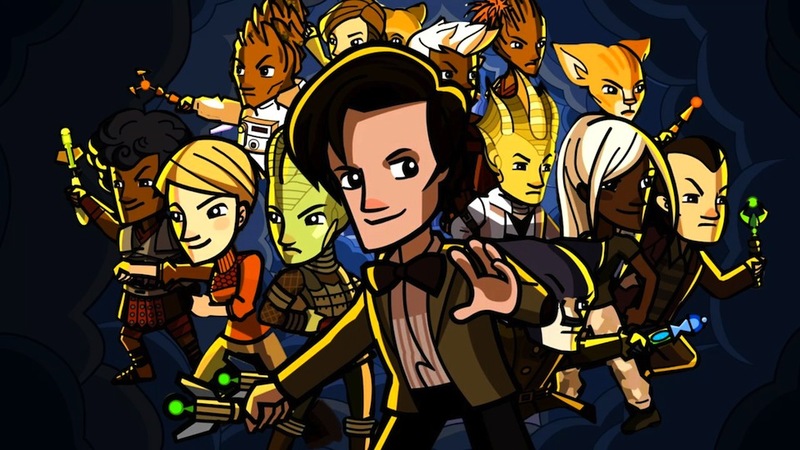 There are a few Dr Who games in this series, but Worlds in Time is definitely the most action packed out of all of them. There are numerous games in this series, some are great, some are not, but what they do offer us is the chance to play detective. CSI is one of the biggest TV franchises of the past decade, with too many episodes to name and a whole host of memorabilia available. The games were bound to be developed after the show hit the ‘big time’. One of the best games available in this series is the PC and Xbox 360 game – CSI – Hard Evidence. You will have 5 cases of murder to solves, which makes for a decent amount of game play, with plenty of suspense and all the investigation techniques that you would need in real life. You may notice that the voices of the cast members that you know and love from the TV show are different; but apart from that, the game is a carbon copy walkthrough with as many twists and turns as you would expect.